From Route 23, take the Echo Lake Road exit in West Milford. 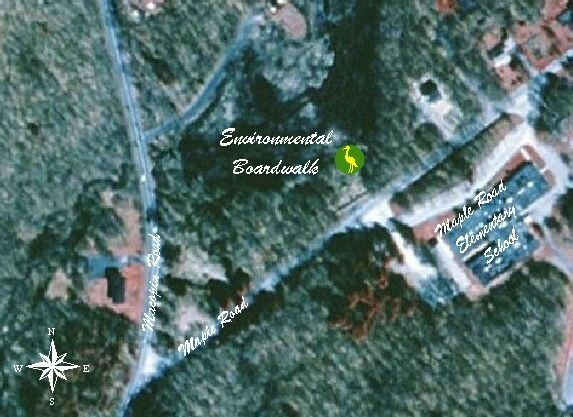 Travel to the end (approximately 2 miles) and turn left onto Macopin Road. Drive 1/4 mile and bear right onto Maple Road. Park at Maple Road Elementary School. From Town Center, travel south on Macopin Road for approximately 4.5 miles and turn onto Maple Road. The Environmental Boardwalk is on your left. For further information, call (973)728-2798.